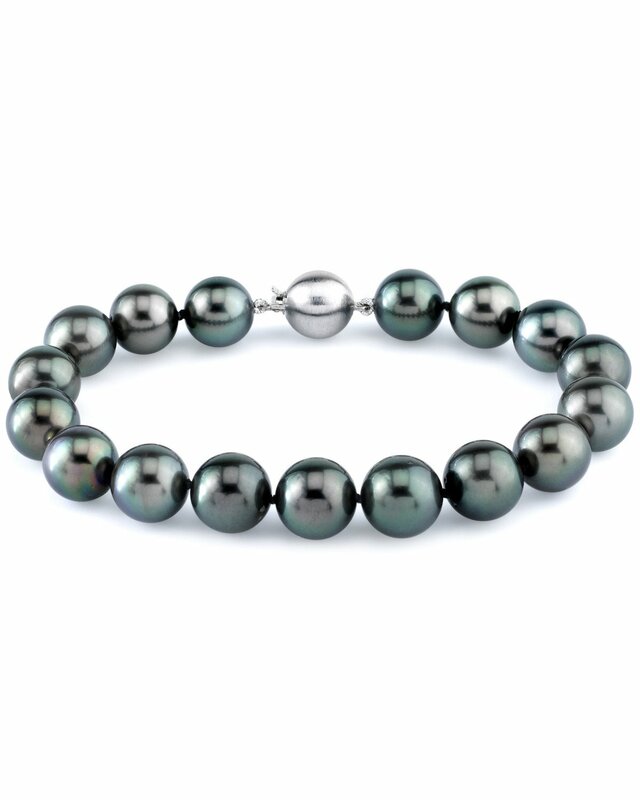 This gorgeous Tahitian pearl bracelet is a recent addition to The Pearl Source and is an item you won't find anywhere else. The pearl bracelet consists of 11-12mm AAA quality Tahitian South Sea pearls with 'Very High' lustre. The stunning colour of this bracelet would also go perfectly with one of our exquisite Tahitian South Sea Necklaces. 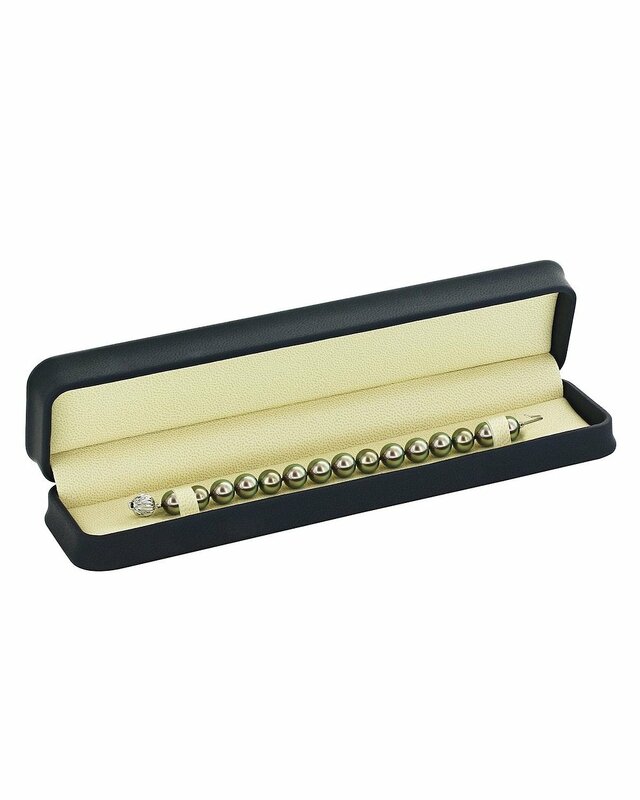 The pearl bracelet is affixed with a beautiful 18K white or yellow gold clasp. Lengthening options are also available at checkout. The Pearl Source can also customize this bracelet to match perfectly with any purchase of a Tahitian South Sea pearl necklace. Since colours and prices vary, please call for such requests. Make sure to take a look at the matching earrings at the bottom of the page. If you have any further questions regarding this pearl bracelet, please feel free to speak to one of our pearl experts over the phone by calling 866-87-PEARL (866-877-3275) at anytime.